We want to be comfortable home, and deservingly so! Although a relaxing routine to a good life may be enough, having a wonderful sleep might require a bit more work. Sleeping on your back is a common sleep position that deserves its own treatment. When you jump into bed and lay on your back, there is a small gap between you and your mattress. This means your hips and shoulder blades will touch the mattress before your lower and upper back gets any support. What this means is you need a mattress with top layer support foam thick and soft enough to let the full length of your body to sink in and make full contact for sufficient back support. 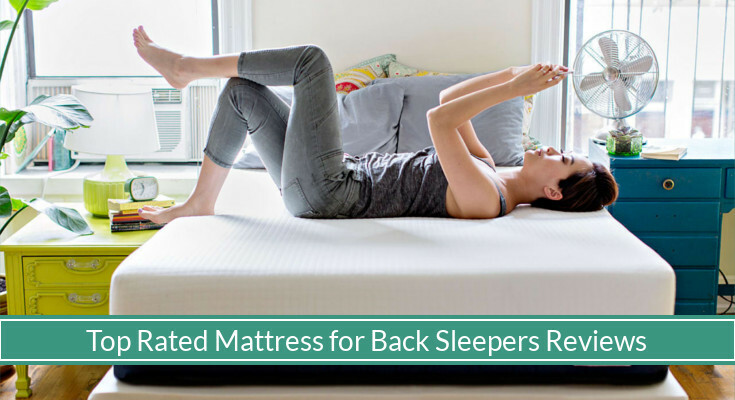 In this guide, we go through what makes a back sleeper mattress great and what to look for when shopping for one. We will also review and recommend the top 5 mattresses for back sleepers. 2 What Makes a Great Mattress for Back Sleepers? 3 What Type of Mattress is Best for Back Sleepers? Leesa is a well known mattress brand with its successful and widely popular Leesa Memory Foam Mattress. The Sapira is the hybrid that incorporates pocket-spring technology for pressure-relief with Leesa’s patented Avena cooling memory foam. The mattress uses a base layer of over 1000 individually encased pocket coils for deep compression support. The top layer is the 1.5 inches of high density Avena memory foam that is more durable and more responsive than latex. In between the two layers is 1.5 inches of even denser memory foam layer that cushions the top from the springs. The hybrid between memory foam and innerspring provides a responsive sleeping surface that contours well to your body, supporting your back in full. The way the Sapira is engineered give back sleepers pressure relief much more than most mattresses, as well as cooling technology that allows better airflow and breathability for you and your bed. 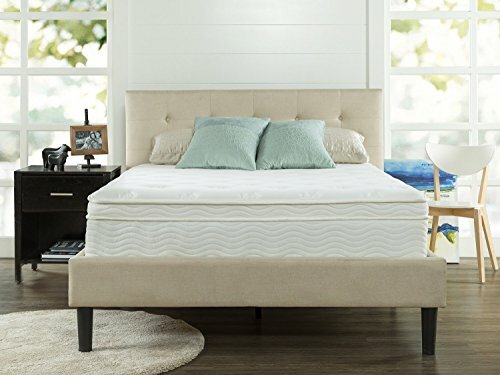 The Zinus Ultima Comfort is a 13-inch euro box top mattress that use Coil Pocketed Springs technology with a fiber quilted euro box top cover. iCoil technology is an design with independently wrapped coils that minimize motion transfer while providing a “customized” full body support. This mattress uses high quality foam that is CertiPUR-US certified and comes with a 10 year manufacturer warranty. The mattress has a luxurious look and feel, with three mattress layers for comfort and support. The top layers are 1.5 inch plus 3 inches of pressure relieving comfort foam for your comfortable sleeping surface, followed by 0.5 inches of high density foam to cushion you from the innerspring base. The base layer is 7.5 inches of iCoil Pocketed Springs. 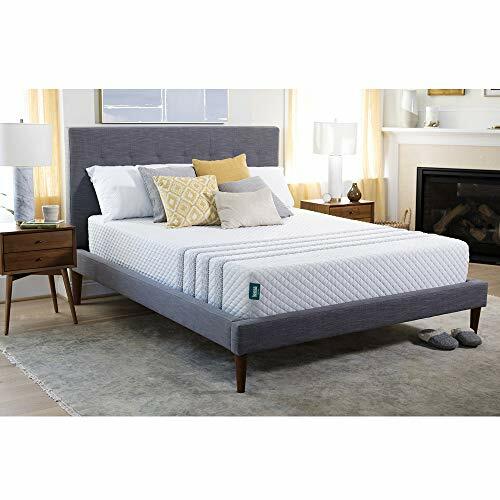 The Live and Sleep Resort Sleep Classic is an open cell memory foam mattress with 10 inches of CertiPUR-US and OEKO-TEX certified foam. 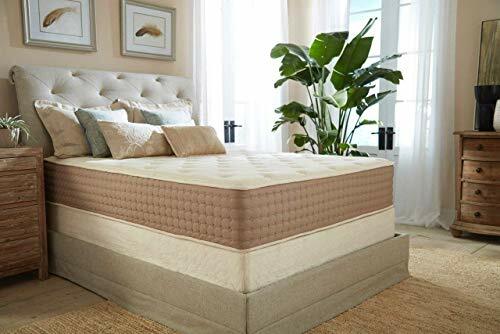 The top layer is 2.5-inch of memory foam for comfort and support with an extra thick 7.5-inch high density foam base for deep compression support and pressure point relief. This is all wrapped in a soft fabric flex-thread cover that is easy to remove and machine-friendly washable. This mattress comes with a 30-night trial (with free returns) and a full refund guarantee. There is also a 20-year manufacturer warranty to protect you from defects. You also get a free memory foam pillow th the mattress. 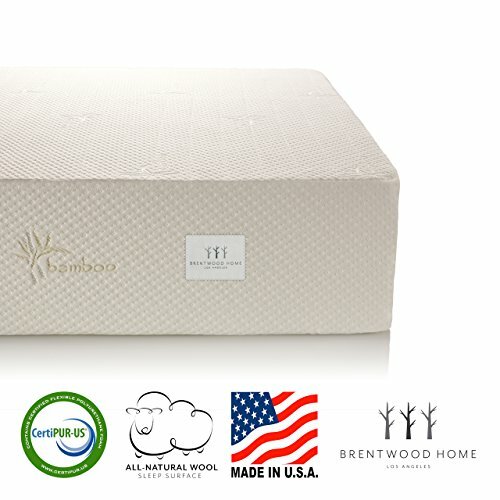 The Brentwood Home Cypress Mattress is a 13-inch gel-infused memory foam made in the US. It uses CertiPUR-US certified foam with 4-way stretch knit removable zipper cover lined with natural New Zealand wool and bamboo derived rayon. The wool is great for wicking moisture and helps with airflow for keeping you cool when you are hot and warm when you are cold. The mattress has three layers to it: 3.5-inch gel-infused memory foam for even cooler sleep and evenly distributed body weight, 2-inch foam with ventilated airflow for the mattress to breathe and stay cool at night, and 7.5-inch base foam for a solid base suppot to absorb weight. It comes with a whopping 25 year manufacture warranty and with a 30-day return policy. The mattress is medium-firm. 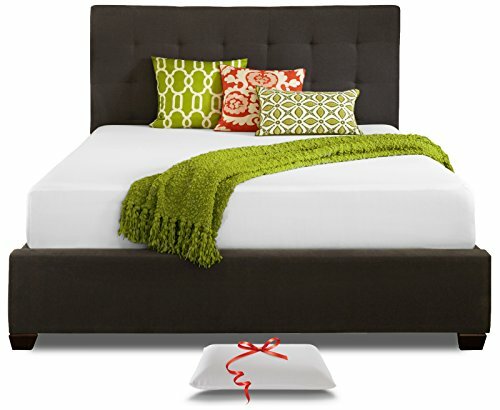 The Eco Terra Mattress is an 11-inch hybrid mattress with 100% natural latex with fabric-encased coils. 100% natural latex means plant-derived material that is 100% hypoallergenic. The cover is cotton quilted onto the natural latex foam, making it nonremovable. 2.5 inches of natural latex foam is placed ontop of 8.5 inches of individually calibrated coils that are thicker along the edges. This hybrid mix provides comfort of the time-tested latex material with time-tested pocketed coils system. What you get from the Eco Terra Mattress is dense support with bounce and responsive cushion sleeping surface with deep compression support for spinal alignment. The mattress is also naturally antimicrobial and dust mite resistance. Individual coils and latex foam also means minimal motion transfer making this mattress great for couples as well. What Makes a Great Mattress for Back Sleepers? When you sleep on your back, there is a small gap that forms between your mid-to-lower back and your mattress. Although your hips is where most of your weight is and will help sink your body into your mattress for full-contact support, a mattress should have 2 or more inches of support foam as a top layer of the mattress so that back muscles receive enough mattress support. This means 8 hours of sleep with activated back muscles that can become sore or pained the next morning. Part of having decent back support is having a sleep surface that can conform to the curves of your body. Medium-firm is the most popular and widely recommended firmness for all types of sleeping position including sleeping on your back. Sometimes, medium-firm may not be enough and a firm sleep surface is required for the more serious cases. Firm mattresses will have denser per cubic inch material that can prevent your hips from sinking too much causing your back to become uncomfortably arched during the night. We believe a good night’s sleep is mandatory. However, we don’t want to break your bank. Finding a mattress that is not only affordable, but made from quality material can mean the difference of a longer mattress lifespan and, ultimately, savings for you. We make sure the products we review are not riddled with manufacturer defects and source quality, clean material that you can comfortably rely on. You’ll also want to consider the budget you have available. Most common budget ranges that mattresses fall under are $200, $300, $500, $800, $1000, $2000, and $2500 marks. One of the top complaints consumers have when they sleep is a mattress that gets them hot and sweating at night. We kept an eye out for mattresses that are built with cooling technology or design that helps regulate the sleeping surface of your mattress. Gel-infused material is a popular ingredient for memory foam mattresses. Open cell mattresses with pin holes or other “holes” for airflow also help reduce the amount of heat trapped in your bed. The last thing we want is for your to sleep the next few years on a mattress that can harm you. We review and only recommend mattresses that are certified by an unbiased third-party regulatory body to ensure your mattress is without flame retardants, mercury, lead heavy metals, formaldehyde, and phthalates for a healthier sleeping experience. The mattresses also have low VOC (volatile organic compound) emissions less than 0.5 ppm (parts per million) for better indoor air quality. CertiPUR and OEKO-TEX are the two well known non-profit certifications. Having deep compression support is important, especially for those who are a bit heavier. Ideally, the top layers of the mattress allow “give” and cushion for the mattress to conform to the curves of your body. With deep compression support, we ensure the body doesn’t sink to the point where your spine and neck is maligned. Mattresses with appropriate deep compression support tend to be thicker mattress (8-inches and up) with three or more layers that make the mattress. Deep compression support can be made with different materials depending on the general type of mattress. Thickness deals with the height of the mattress. It is recommended you need a minimum of 4 inches for sleep. Any less means there is not enough cushion and support for your body and can result in either too much sagging or too firm of a sleeping surface. Most mattresses average 10 inches in thickness. Mattresses can range between 8 to 14 inches. One major consideration when deciding on a mattress thickness is to consider the average height of your bed. Being able to get on and off your bed, or sit on the edge comfortably, can be important for those with back pain and arthritis. If your bed is too low or too high, getting on or off your bed can be difficult. When you sleep on your back, one of the most important things to ensure is that you have a flat sleeping surface. We want your spine to remain straight. This can be accomplished with a medium to medium-firm mattress. Although it can be tempting to sleep on a soft mattress, they may not provide the adequate support back sleepers need. Soft mattresses allow the body to sink enough to compromise the alignment of your spine, giving you awkward sleeping positions that can cause body aches, soreness, and pain. For those who need a little more cushion, medium-firm can be the ideal option. Whether it is with memory foam, latex, innerspring, or a combination of the three, medium-firm gives enough cushion to allow your shoulders, back, hips, and legs to rest comfortably with cushion. If you found your mattress to be too firm in the past, you can also consider option for a mattress with a pillow top design. Pillow top mattresses feature an additional layer of padding stitched on top of the mattress. They are also normally with an innerspring base layer for support. For those with backaches and back pain, medium-firm to firm range can be an excellent choice. Lower back pain can benefit from a firmer mattress. One of the most important factors to a quality mattress is to protect you from premature aging, where some parts of your mattress begin to sink. This is common in the center of your mattress, where the most weight is concentrated. Having a mattress warranty, and understanding it can help you identify when a mattress is prematurely aging. Although quality standards have been their highest in the industry over the years, manufacture defects are known to happen. On average, mattress warranties can range between 5 to 20 years. 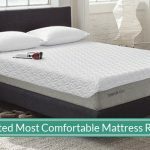 A mattress that is popular and well known for its comfort may not be the best indicator of the right mattress for you, but it’s certainly not a bad one. In our guide, we include mattresses that are popular and regarded as one of the best mattresses for its category and for back sleepers. All mattress types can be an excellent choice for back sleepers. Generally, memory foam and innerspring mattresses offer more firmness for back sleepers. Latex is a great alternative for those who find memory foams too firm. Memory foam mattresses have high-density foam layers that can support the body well. A combination of support and comfort foam layers can create a sleeping surface that can conform to the shape of your body while providing a neutral spine position. Gel-infused memory foam provide cooling technology that can make it easier to sleep if you find yourself hot and sweating at night. Although memory foam mattresses have slower response time compared to latex foam, it can conform well and relieve common pressure points. Innerspring mattresses are designed with a thick support foam layer at the top so that back sleepers can rest without feeling the innersprings. Innerspring offer steel wires that work together to provide deep compression support and a comfortable bounce for pressure relieving sleep. Latex foam is a middle ground between innerspring and memory foam. Latex is also a good alternative choice to memory foam that can provide conforming sleeping surfaces with a little bounce similar to innerspring. Tatalay and Dunlop constructions for latex mattresses both provide steady and firm support suitable for back sleepers. Which Is Better: Tatalay Latex or Dunlop Latex? Sleeping on your back can be great as it keeps your spine in a neutral position. You also tend to have less acne on the sides of your face because there is less contact with your pillows. However, back sleepers are more prone to snoring or suffering from sleep apnea. Acid reflux and heartburn are also common complaints for back sleepers. The body follows the head. Use a pillow to keep your head in place – We recommend cervical pillows. A thin pillow for your head, such as a down pillow, is best for maintaining a consistently neutral position between your neck and spine. For those who snore or have sleep apnea, a thicker pillow may be useful to reduce snoring and breathing difficulties. We recommend a quality memory foam pillow that can also provide relief to neck and shoulder strains. You can also find a pillow that can help minimize snoring. Cervical pillows are also a great choice to ensure the head does not turn to the side and twist the spine uncomfortably. One of the ways we can ensure we live healthy days is to ensure healthy sleep. For those who sleep on their backs, that means finding a right mattress with the right degree of firmness and design that is engineered to provide full body support. This means with the right layer of cushion for the body to rest on and quality base support for maintain spinal alignment for a comfortable sleep experience. In this guide, we cover what makes a mattress great for back sleepers as well as the top 5 mattresses for you to choose from. Buying a new mattress can be exciting, but being able to sleep well for the next 10 years is a priceless gift.